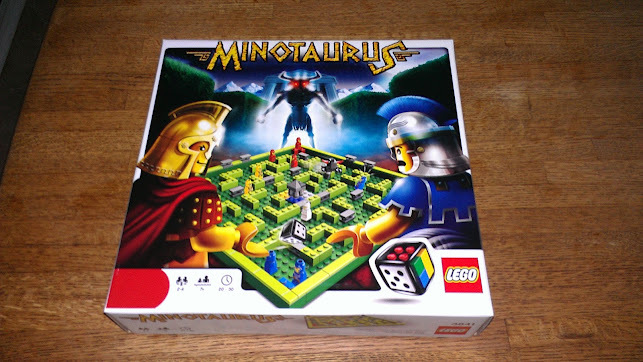 One of the games that has made several appearances at our table recently is Minotaurus –yet another entry in the LEGO line of board games. The concept is fairly straightforward. The game is played inside a maze. 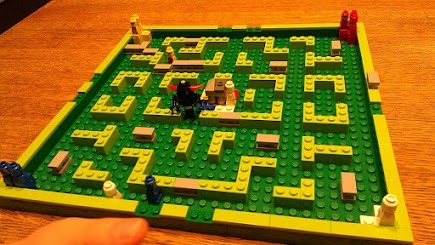 Each player controls a team of heroes whose goal it is to reach the temple hidden in the center of the maze. Sound simple enough? Well, there just so happens to be a creature lurking within this maze who would like nothing better than to thwart your every move. Enter the minotaur. On each player’s turn a very cool 6-sided LEGO die is rolled. Side 1 and 2 of the die have been replaced with gray and black panels. If a number is rolled, you move one of your heroes that many spaces. If gray is rolled you are allowed to remove one of the gray sections of the maze and place it anywhere else in the maze you’d like. Most likely players will place the gray section somewhere that will block another payer’s path to the temple. If black is rolled, the player then controls the minotaur and is allowed to move the creature up to 8 spaces anywhere he or she likes. My son has had a lot of fun messing with his mother and grandmother. For some reason he likes to team up with me and take on the ladies in our family. Seeing how the rules are fairly open-ended, this teamwork fits in perfectly. We’ve ended up house ruling a few things, but in the end everyone has had a good time. If I move here will I be able to mess with Grandma? 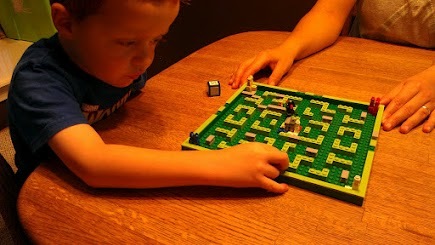 You can create your own mazes, and the rules even encourage this, but so far we’ve only explored the recommended setup. And speaking of setup, the game comes with a cardboard template which makes reverting the maze to its original state a snap. I’m already thinking of ways of incorporating our LEGO Heroica pieces into this game. Maybe have some nifty treasure items stashed in the dungeon—err, I mean maze–that can be used to get a free turn, block the minotaur’s attack or something along those lines. Minotaurus is a fun–if somewhat simple–game that may take some player creativity (in the way of implementing house rules) to keep the game interesting and entertaining. The base game is definitely fun for a few plays, but in order to hold your child’s interest, you may need to come up with additional rules to keep things fresh. Sure, the LEGO factor doesn’t hurt this game, but at the end of the day if the game’s mechanics are not engaging enough, the game’s components will more than likely become fodder for other LEGO building projects. I enjoy listening to a variety of podcasts while I’m working. It helps keep me sane. Most of these happen to be game related podcasts. As I don’t know how many blog readers are also podcast listeners, I thought it might be of interest to some (perhaps not) if I shared various quotes from these podcasts. I’ll try and post these periodically as I have the time. 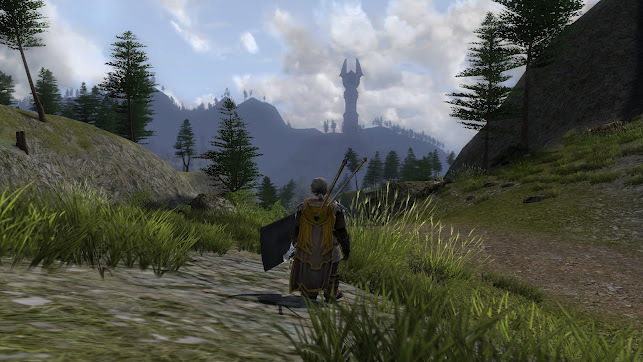 “The problem I have with some of these big MMO franchises that I love…whether it’s LotRO or DDO or even World of Warcraft [is that] as a guy who is playing a ton of different games, it almost makes me sad to see them putting out something as good as Riders of Rohan, because [even though] I can play this in beta, there’s no chance in freakin’ hell I’m going to get a max level character through LotRO anytime soon… I’m just not going to get there. When it comes to your gaming, slow down. Don’t worry about your level. Explore more. Rely less on maps and fast travel. Get into the experience. Role-play it up a bit. I can’t tell you how appealing this play style sounds to me, and yet, the way I play couldn’t be more opposite. Unfortunately, the speed of life that bleeds into every facet of my existence dictates my play style. As there is very little down time in my daily routine, I’m constantly aware of the time, where I need to be in the next half hour, what needs to get done before I move on to the next task. And that’s how I tend to play my MMOs. Where do I need to go next? Bee-lining from quest hub to quest hub. What quests can I knock out there? Are the XP and the quest rewards worth it? I wish I could check my real world baggage in at the door before entering my gamer’s mindset. However, that’s usually not the case. When I do find the time to game, I’m always aware of the time (and what little there is of it). I constantly feel the need to make the most of it and that there’s not a moment to waste. Sadly, exploration, following the story of a particular quest chain, and simply enjoying the experience of being in an online world all take a hit during these sessions. In other words, my gaming has become less of an escape and more of an extension of my real life. And that’s not really what I want. I would be lying though if I said I didn’t enjoy what I’m doing in game. This treadmill approach to gaming has served me well for many years, and it keeps me logging in, that’s for sure. The sense of accomplishment is intoxicating and quite fulfilling. But here’s the catch: this constant grind is exactly what burns me out on a given game. I simply can’t sustain the level of drive needed to keep it all going. And before I know it, the bottom drops out. I’ve lost the momentum and simply stop logging in. At the very least I plan to make a concerted effort to slow things down, to take more time with the whole questing experience. If that means taking a slower form of travel from time to time or resisting the urge to constantly check my map and XP bar, well then, so bit it. Speaking of which, I wish MMOs would come with the option to hide your XP bar (not necessarily turn it off). That would be a feature I would definitely take advantage of. At the moment I’m leveling—err, adventuring through Middle-earth with a captain. He’s staying in Rivendell but has plans to move north up into the MistyMountains to see if he can lend a hand to Gloin and his dwarven crew. 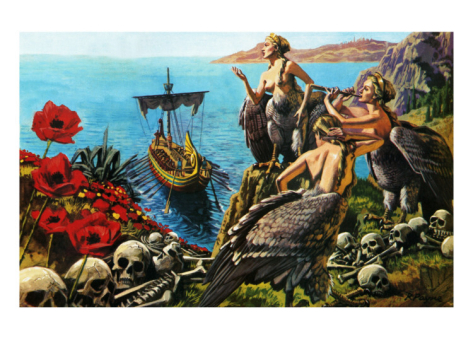 Adventure is yet another siren’s call I find difficult to ignore. For the time being though, I’ll remain chained to the mast of continued leveling, quest grinding and chasing the armor upgrade prize. And even if in the end I’m not successful in slowing things down, it’s still nice to know that there are players out there who have. Thanks Beau. Please keep the songs coming. My green behind the ears hobbit warden. I managed to reach level cap with my warden last week. Being level capped is a relatively new phenomenon for me. I’ve only pulled this off a handful of times in the past, most recently in Rift. So I wasn’t very sure what I wanted to do next. Seeing how I’m not much of one for fine tuning my end game characters, and knowing that the release of the next expansion, Riders of Rohan, was almost two months away, I knew my time with this character was coming to a close for now. Over the past several days I’ve done my best to outfit him and get him as ready as possible for the expansion. Because he is a woodworker I was able to craft him two Second Age legendary weapons: one spear and one javelin. After spending some time leveling these up, choosing legacies, and slotting relics, I felt he was ready for a much-needed rest. I, on the other hand, was not. I began thinking of who I wanted to play next. My hunter exploring the excellent Morian Water-works (another favorite zone of mine). I have a level 58 hunter I could play. He was my first character who I forged ahead with, making it all the way to Angmar, Eregion and into the lovely, dark and deep Mines of Moria, but somewhere along the way I lost the desire to play him. I’ve tried several times in the past to pick him back up, but I’ve never been able to reconnect and get the hunter vibe going again. That he’s just on the cusp of Lothlorien (a zone I didn’t care for the first time through with my warden), doesn’t help his cause any. I also have a level 50 minstrel. He was part of a duo-ship with a guardian, played by a good friend of mine who sadly no longer plays MMOs. I know the minstrel is fully capable of soloing these days, but the few times I’ve picked him up recently, haven’t been able to convince me of this fact. My captain dreaming in Evendim. When I logged back into my captain, a character I had almost forgotten, I found him at the entryway to Evendim. Evendim…I’ll go on record as saying Evendim is my favorite zone in the game (something that does help his cause). From a purely visual perspective, Lake Evendim is breathtaking, and the zone has been revamped making for an excellent and rewarding quest progression throughout the zone. Even though I had no clue what any of his skills did, I had managed to lay out his skill bar in such a way that made relearning his tricks of the trade surprisingly painless. 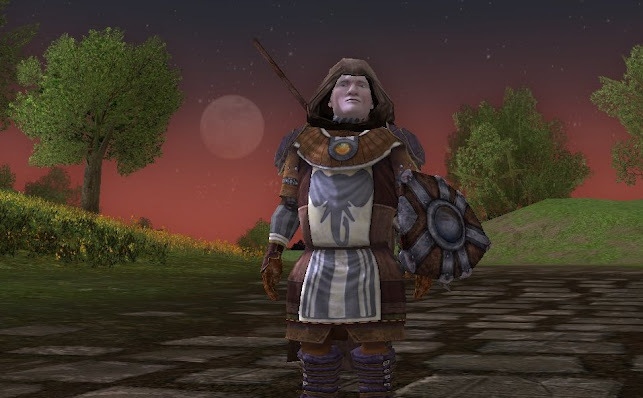 He’s level 34 now, enjoying the big, beautiful Evendim sky, and diligently working on gaining the favor of the Wardens of Annuminas. On average during the week I get about an hour a day of gaming time. As I tend to play MMOs where just getting to that sweet spot can take an hour or more, many of my gaming sessions feel rushed and somewhat unfulfilling (my cross to bear). That’s why I have set aside Friday nights for my extending gaming time. I tend to abandon all reason and stay up way past midnight most of these nights. This tends to be long after my son and much saner wife have gone to bed. It’s just me, my computer, and the small hours of the night. Generally speaking, this tends to make Saturdays a challenge for me—energy level wise. My son doesn’t seem to understand the “daddy’s tired” routine where playing keep up with a 5 year old can prove challenging even to a well-rested adult. Every Friday I say I’m going to go to bed at midnight, but I never do. When midnight rolls around (and believe me, I’m fully aware of the time), I always tell myself: “I’ll just finish up this quest and call it quits.” But without fail, I always find something else to do. My mind offers up: “Come on, it’s the weekend. You’ve managed to make it through another week. You’ve earned this time. Enjoy it.” And I always do. However, there doesn’t seem to be much more than a blink or two between the time I stumble into bed late Friday night (read: Saturday morning) and when my son launches into our bedroom bright and early, bursting with energy and excited for what Saturday will bring. That’s when I lay there, my eyes burning, my head humming, my previous evening’s exploits a mere memory, and tell myself that next Friday things will be different. I’ll manage to get to bed earlier. And I never do. Okay, here’s a dream I could have seen having not long ago. I get called into a large game studio’s office and am asked point blank what kind of game I would have them design. The sky’s the limit. They’ll make whatever I want. As several high level execs sit around the table ready to take notes I quickly suspend disbelief and start in. 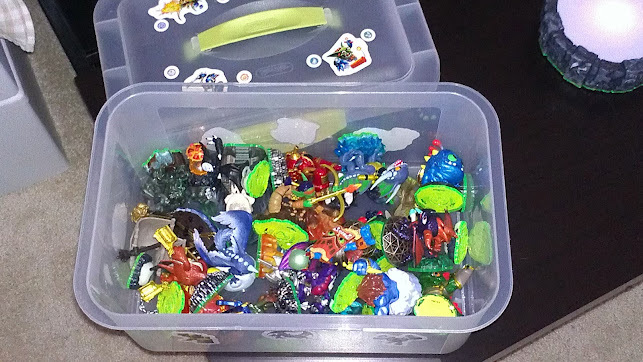 We’ve had Skylanders in our home for about 4 months now, and to be honest, I couldn’t be happier with the game. I’ll admit the game struck me as a bit gimmicky when I first heard of it. The base game comes with a portal of power which you need to plug into your game console. 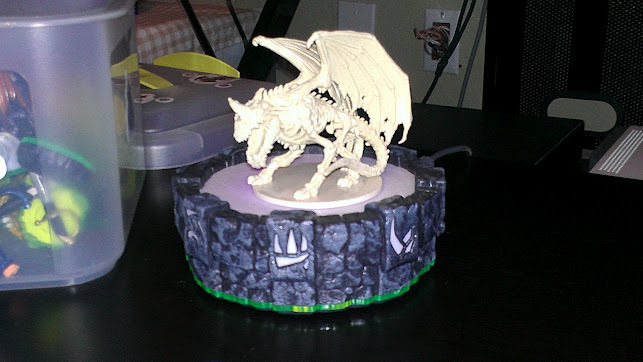 You then take one of the Skylander figures and place it on the portal. Within seconds a digital avatar of the Skylander appears in the game and you are in control of it. Seeing this demoed in the store is one thing. Playing it at home is quite another. Once my Skylander was in the game and I started exploring things, the gimmick was gone and I was left to enjoy a very well-crafted RPG. Certainly the game is also a money sink. Somewhere in the neighborhood of $50 gets you in the door, but if you ever want to play with more than the 3 starter Skylanders, you’re going to end up paying quite a bit more. 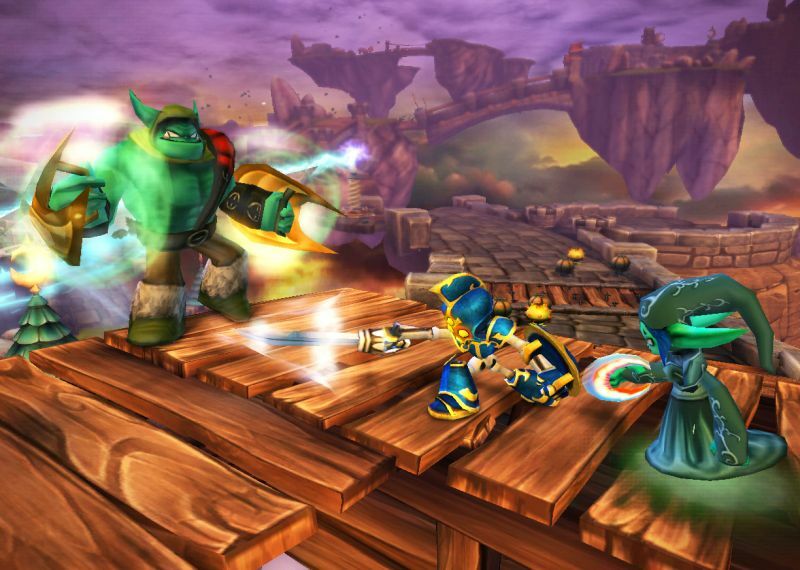 And certain areas of the game can only be unlocked with specific types of Skylanders. So, if you’re wanting to experience everything the game has to offer, you will be spending quite a bit more than the entry fee. Unfortunately, this did not work. Gravestorm, we could have used you, old friend. Yet all of this is still a no brainer for me because here’s the thing: This will be the game that goes down in our family record books as the one that made a video gamer out of my son. Sure, it could have been Super Mario, Lego Star Wars or any number of other kid friendly titles available out there. 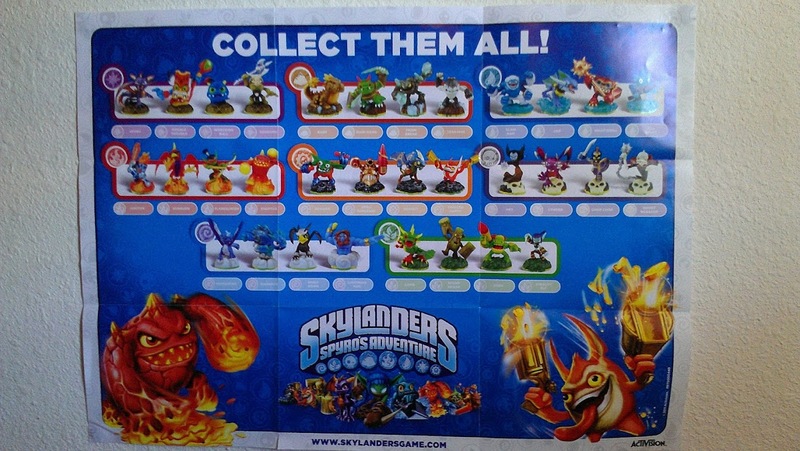 But his will be Skylanders–a very well done entry level RPG. Already “hit points,” “level up,” ‘boss fight,” and “legendary upgrade” are terms that have entered his vocabulary. On several occasions I’ve found myself discussing the game and basic strategies with him while we’re in the car. It’s been a trip (pardon the pun). He has a Skylander poster on his bedroom wall with all of the (32) different Skylanders—something he stares at quite a bit when we’re in his room getting him ready for bed. Indoctrination on my son’s wall. Drop in co-op play is brilliant—anytime anywhere. It’s that easy. To be honest, this is a game I would enjoy playing by myself, but seeing how excited my son is to play, I generally only do so with him. Heck, Daddy’s got his hands full trying to keep up with the games on his own list. Kaos, the smack-talking uber bad guy is a lot of fun and elicits some priceless smack-talking from my son as well. What a joy it is to sit next to your child on the couch while he’s yelling, “How do you like us now, you giant poopy doody face?” That’s my boy. The game’s difficulty slowly ramps up throwing basic puzzles, a few mobs and the occasional boss fight your way, and before you know it there is enough challenge to give even the most seasoned veterans a run for their money. If you’re looking for a video game to play with your child, where the basics of RPGs are introduced in a family friendly way, I can’t think of a better choice than Skylanders: Spyro’s Adventure. I’m in a bit of a rut on the gaming front. 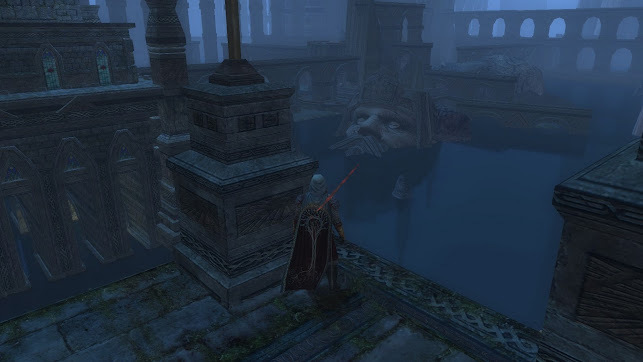 I’m currently playing Lord of the Rings Online and making some progress through the latest expansion, Rise of Isengard, but the content—at least so far—isn’t really keeping my interest. I consider myself to have a high tolerance for rote quests, but for the past 7 levels (my warden is currently at 72) that’s pretty much all I’ve found to do. The Dunlendings need my help, and at first I was happy to provide it, but after running countless errands for a third village and now being sent on to the fourth, I’m running out of steam. To supplement this I’ve been working through the epic story quest, which is a bit more exciting, but even it has left me wanting. I’m usually a sucker for sidekicks in games. I was hoping the ability to summon my skirmish soldier in the landscape would add some excitement to the questing, but what I’ve found so far is that almost every quest has been painfully easy to complete solo. Adding a skirmish soldier makes it almost laughable. I’ve also been hearing quite a bit of negative feedback concerning LotRO’s next expansion, Riders of Rohan, and how they don’t seem to be offering much bang for your buck with their various preorder options. This kind of thing doesn’t usually affect me, but this coupled with my less than enthusiastic impression of their current expansion, and I’m finding myself starting to look elsewhere for something to do with my game time. The mounted combat of Riders of Rohan certainly sounds interesting, but I’m not sure I’m going to be there to find out. I won’t be preordering the expansion. That much is for sure. 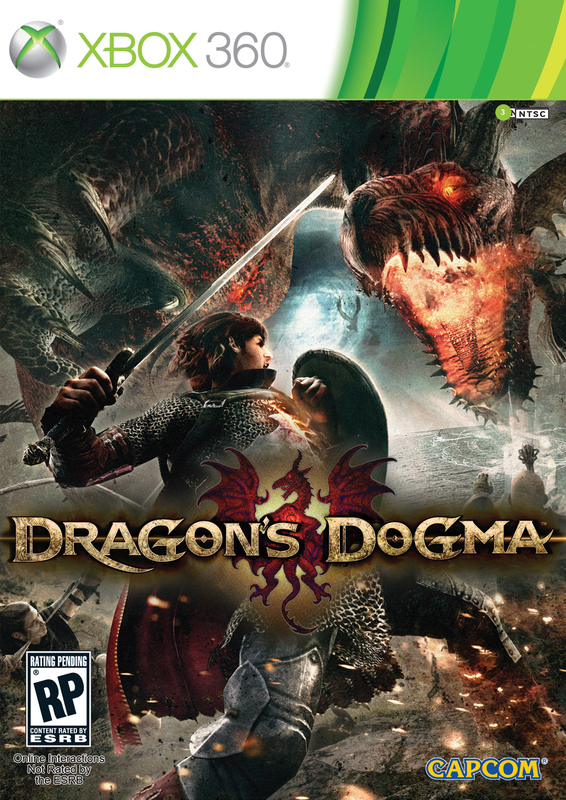 Speaking of sidekicks, I’ve just ordered Dragon’s Dogma for the Xbox 360 and am hoping a little change of pace and scenery will give me something to look forward to playing again. My father was a yard man. That was his thing. Every bit of free time he had he spent working in our yard. It was his sanctuary. 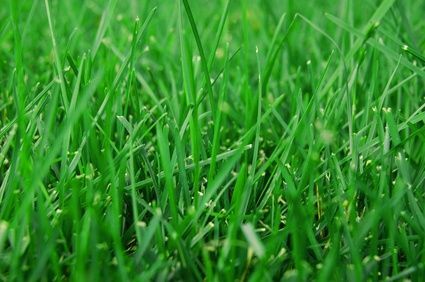 He’d mow the grass twice a week, water the yard every other day, and the result: a well manicured, deep green Bermuda carpet, was the envy of many a homeowner in our neighborhood. We were allowed to play in the yard, but for things that could potentially harm the grass (like tackle the man), we had to go elsewhere. My son’s father is a gamer, not a yard man. A good bit of my free time is spent in front of a computer, not a yard. 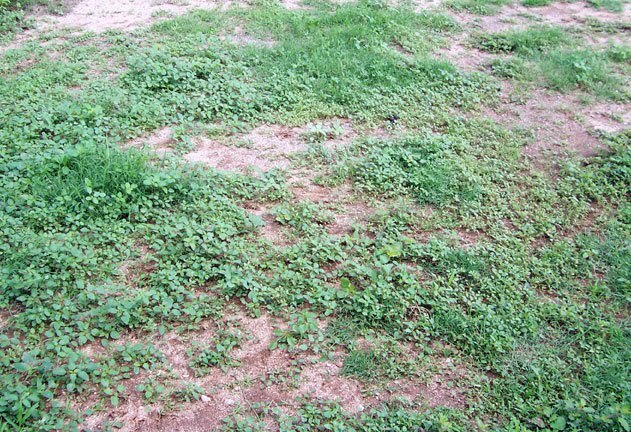 Our yard has patches of dirt littered throughout it, and in many places more weeds than grass. 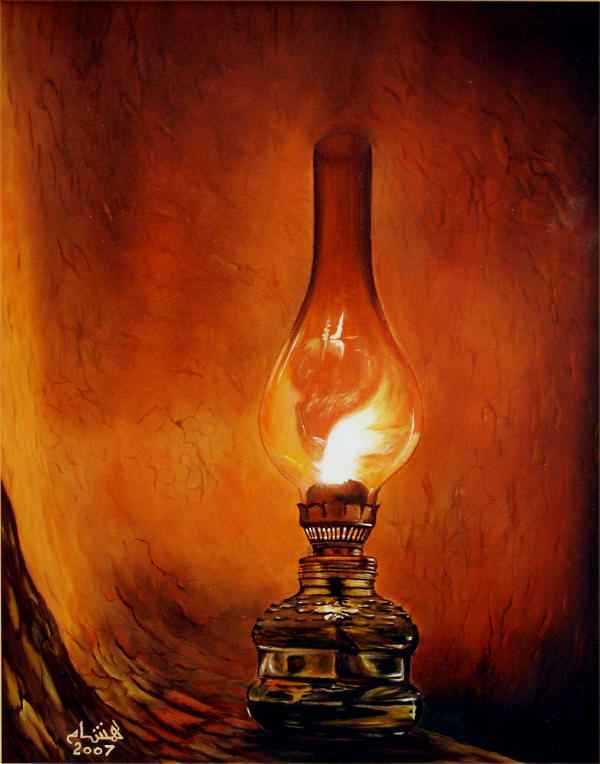 It is the envy of no one; the eyesore of many. My son doesn’t seem to mind though. He enjoys taking his Nerf sword and beheading the weed stalk monsters every chance he gets. What I wonder is this: Did I in some way rebel against my father’s passion? And in this very same way will my son do the same thing with me? I really have no clue, but this unsettling idea has crept up in my mind on several occasions. Maybe my son will turn into a yard man himself. Future father: [opening the back door] Hey buddy, come on in and play some LotRO with your old man. Future son: Ah, gee Dad. Not right now. I’m just getting ready to edge the grass. And then I’ll need to fertilize. 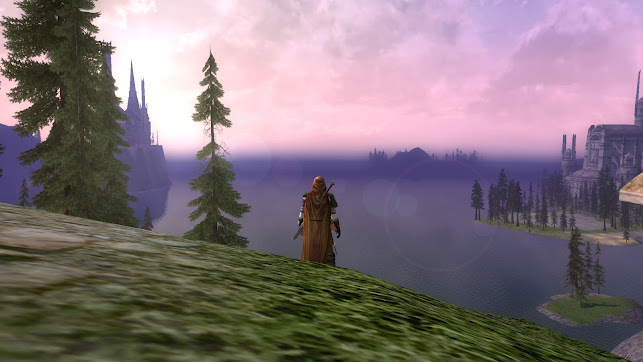 Future father: Don’t you want to grab your champion and run Stand at Amon Sul with me? For old time’s sake? Future son: Is that an offensive or defensive skirmish? Future father: Offensive, but we could run a defensive one if you’d prefer. Future son: What’s the point? I’m already at level cap, and I’d just as soon wait until Fall of Sauron comes out. Anyway, they say it’s going to rain tomorrow. I’d better get this yard fertilized. Future father: You’re not my son. I’m taking away your yard privileges. I certainly hope this is not the way things play out. I’m very much looking forward to having a gaming buddy in the years to come. There are some very nice people out there on the internet. I’m sure you weren’t aware of that. Thanks to the Newbie Blogger Initiative a whole host of brand new blogs are getting off on the right foot. It’s actually quite comforting to know (and a bit scary as well), that your fledgling blog isn’t launching into the blogosphere completely alone and unnoticed. I may not technically qualify as a newbie blogger, but I’m fairly certain I wouldn’t have started up this project if it weren’t for this initiative. Before I get written off as a freeloading slacker, allow me to say a few words in my defense. Although technically speaking I am not new to blogging, in some ways I really am. The blog I previously maintained, Grinding toValhalla, primarily consisted of interviews I did with other bloggers. Basically, they were the ones doing all the work in answering my questions and coming up with all the content for my blog. I barely lifted a claw. So now I’m finding myself in a position where I’m having to come up with all my own content. It’s really uncharted territory for me, and the Newbie Blogger Initiative is helping to make this whole birthing process as painless as possible. What’s the worst that could happen? It’s just a box. Right? Imagine sitting around a table with 3 of your friends. Each has a hand of six cards. These cards represent your adventuring party complete with heroes, villagers, weapons, spells, jewelry and other various dungeon delving supplies. In the center of the table is a board with various stacks of cards arranged on it. One section of the board comprises the village which is made of up of wares for purchase, helpful villagers, and heroes for hire, and in one shadowy, rather ominous section at the top of the board exists the dungeon. Out of this dungeon spills a steady stream of monsters hell-bent on destroying you and the blasted village you happen to find yourself in. Based on the cards in your hand, each turn you will decide whether to venture into the dungeon to try and slay a monster or play it safe by visiting the village to purchase an item, hire a hero, or perhaps even level up one of your battle worn veterans all with the hopes of increasing your odds of slaying monsters in the future. 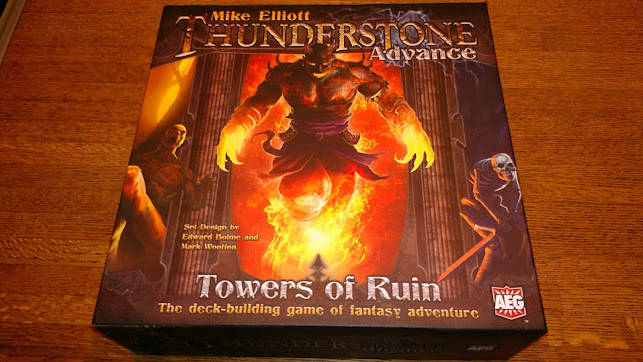 This is Thunderstone Advance: Towers of Ruin. Okay, getting friends to actually exist around your table is posing a bit of a problem? I can certainly relate. 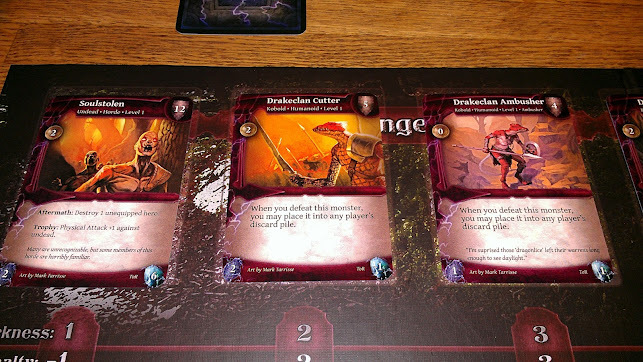 Lucky for us Thunderstone Advance also offers a rather interesting and challenging solo variant. I’ve been playing this quite a bit lately. As of this post I’ve clocked in 5 plays with a very respectable 0-5 record to go along with that. Did I mention the game was challenging? I’m beginning to discover some strategies now, and many of the monsters are meeting their death before leaving the dungeon. Not enough to score a win apparently, but I’m getting there. After slaying your first monster you gain a familiar that stays with you for the remainder of the game. This familiar can assist you in various ways–offering attack power in the dungeon or purchasing power in the village. Heroes can be leveled up with experience points you gain from slaying monsters. Higher level heroes are considerably stronger and thus much more effective when going to the dungeon. Bringing down that particularly tough monster with just the right combination of cards can be pretty satisfying. Set up can be a bit tricky and a little time-consuming until you get the hang of things. Because each game is randomized, there will be games where you’ll have a tough time killing many of the monsters in the dungeon hall. This can make for a bit of a lackluster and confidence-crushing experience.